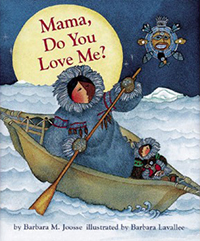 Barbara Joosse is the author of the ever-popular Mama, Do You Love Me?, along with many other books for young readers. She lives in Cedarburg, Wisconsin. This beloved story of a child testing the limits of her independence, and a mother who reassuringly proves that a parent’s love is unconditional and everlasting is a perfect first book for toddlers.